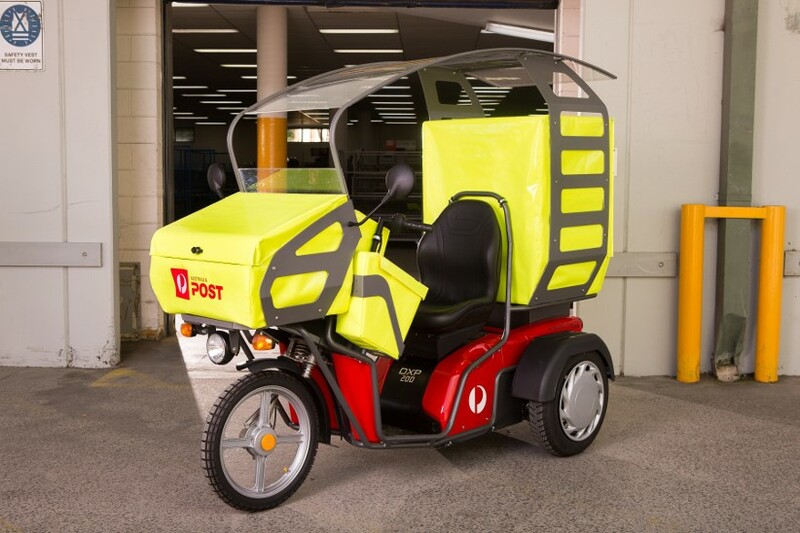 Australia Post has introduced electric bicycles and is investigating the use of larger electric vehicles for its letter and parcel delivery fleet in a bid to make the fleet more environmentally friendly. Dixon said so far AusPost had introduced 1,500 electric bicycles and 100 three-wheel battery powered electric delivery vehicles. It has another 1,800 electric bicycles on order. All up, the delivery fleet comprises about 10,000 vehicles including motorbikes, electric bicycles, three-wheeled electric delivery vehicles and vans. Australia Post launched their first Environmental Action Plan on World Environment Day in early June. The plan is part of the organisation’s commitment to cut carbon emissions by 25 percent by 2020 and save some $10 million a year through environmentally sustainable programs. Dixon said fleet was a significant element in contributing to the environmental plan. Other measures being taken at Australia Post, include installing a solar panel sytsem –the country’s largest – at its Sydney parcels facility, which is saving some $8000,000 a year. It has formed partnerships with groups like TerraCycle, Planet Ark and Mobile Muster to recycle packaging and save some 26,000 tonnes of material from landfill over the past three years. Its own packaging is now completely recyclable, according to an Australia Post press release. In addition, Australia Post is working with third-party suppliers, including road and air transport operators, and electricity and gas suppliers to reduce its emissions.